Each of us has a unique voice, but few of us know how to use it to its full potential. Studies have shown that the sound of our voices affects listeners’ perceptions of us, with more information coming from the tone of our voice than from the words we use. Join WCL and public speaking coach Gigi Rosenberg for a step-by-step process to create and finesse a powerful personal elevator speech. You’ll leave this interactive workshop with a workable speech and practical tips for delivering it with presence. Help the people on your team fulfill their fullest potential. The After Five Lab is designed to provide a space to discuss the models and practice skills so we can apply them in our lives and work. In a LinkedIn article titled, We’re Sending our Daughters into a Workplace Designed For Our Dads, Melinda Gates said, “The American workplace was set up based on the assumption that employees had partners who would stay home to do the unpaid work of caring for family and tending to the house.” Today, 47% of the workforce is comprised of women, and yet few companies have reengineered their workplace to reflect this change. Join WCL and Katie Augsburger of Future Work Design to discuss how gender dynamics influence us at work. Learn why women were not set up to be successful in our current work environment, and reimagine what a workplace would look like if it were designed with a woman’s needs in mind. Finally, focusing on solutions, discuss how we can positively impact the workplace to make it a better environment for women. Katie is deeply passionate about making work more equitable and liberating. With 15 years of experience in human resources, she focuses on improving the employee experience and creating more progressive workplace policies. Katie has a M.Ed in Curriculum and Instruction as well as a B.S in Sociology. She is a Certified Senior Professional in Human Resources (SPHR) as well as SHRM Senior Certified Professional (SHRM-SCP) and Certified Compensation Professional (CCP). Join a panel of local inclusion practitioners moderated by Dori King to discuss how we live the life of equity advocates. Dori is a human resources person turned educator. She earned a Bachelor of Science in business administration and a Master of Arts in educational leadership from the University of California, Berkeley. Dori’s research and practice focus on building inclusive communities. She was a founding board member of Synergy Charter Academy in Los Angeles. She currently serves on the Portland Art Museum's Teacher Advisory Council. She will complete her service as a member of the parent leadership council at Pitzer College in May of 2018. PRICE: $35 per person. Includes panel discussion, and breakfast Read our event cancellation/refund policy. DOES NOT INCLUDE PARKING. Move your career forward with Women’s Center for Leadership. Please be our guest at WCL’s membership launch party and join the leadership journey! Join us on November 8th at Downstream as we share all the details of our new membership program and celebrate with us as we move forward. How are mentors, sponsors and coaches both the same and different? Should one person fill all of these roles for you? What should you expect when you interact with someone filling one of these roles? What is YOUR responsibility to the relationship? When should mental-health professionals enter the picture? Let’s talk about all these issues and more when we explore how and when to make the best use of our career “helpers”. These experts, from a wide swath of sectors, will help you navigate career transitions, negotiate what you need, and garner formal support on your leadership journey. When polled in 2017, WCL members clearly identified navigating career transitions as a top priority. Join us for an interactive discussion to improve your strategy when returning to work after serving in the military or raising children. Plot you course to a zig-zag career or leaving your legacy. Join us at the stunning headquarters of Swift for an evening of food, mixing, Portland’s most interesting women, and a topic we know all too well: "TAKING ON TABOOS AT WORK". This topic is at the intersection of unconscious bias, the #MeToo movement, Time’s Up and every other conversation you have had with your girlfriends. Taboos are the topics that challenge our cozy assumptions, the circumstances that make us so uncomfortable that rather than talk about them, we agree to talk around them. But we cannot change what we don't discuss. So let’s talk. In building Swift, CEO and co-founder Liz Valentine has challenged convention and made a habit of confronting the entrenched attitudes and behaviors that hold women back. She'll share insights and advice to help others achieve greater professional success in their own careers. And you will have the opportunity to talk through solutions and meet other attendees. As co-founder and CEO of strategic creative agency Swift, Liz Valentine could just as easily be called Chief Empathy Officer. Her blend of East-Coast hustle, fierce conviction and razor-sharp smarts has helped power Swift's rapid rise over the past decade. But a knack for nurturing employees and leading by listening is equally essential to the company's success and Liz's evolution as a leader. A University of Pennsylvania alum, she has two children, one husband, a pack of animals and a lousy ability to sit still for very long. LOCATION: SWIFT Agency, 1250 NW 17th Ave. Portland, Oregon. PRICE: $39 per person. Includes lecture and light dinner (No-host bar with CASH ONLY). Read our event cancellation/refund policy. Join WCL and speaker Ann Su for an implicit bias workshop in which we will explore what implicit bias is and the unintended and negative consequences it can have in work and personal relationships. Participants will be learn techniques and strategies for identifying implicit bias and reducing the negative impact it has on our lives. Ann is passionate about connecting people to their best selves and bridging understanding and connections between people and communities. This is why she has dedicated over twenty years of her life to working for social, economic and environmental justice. To support that work, she studied Political and Social Thought and Environmental studies at University of Virginia and public interest law at George Washington University. Her interdisciplinary education enables her to apply an intersectional and multi-disciplinary approach to problem-solving. Currently, she is a public interest attorney, professor and diversity and leadership consultant. She teaches in the areas of law, public speaking, women’s studies and race/racism at Portland Community College and Marylhurst University. Join WCL and speaker Jade Aguilar for an interactive workshop that will explore some of the hidden gender inequities in the typical professional office place. We will discuss gendered language, unconscious bias, and how workplace structures disproportionately negatively impact women as professionals. We will end by discussing strategies of resistance and ways to navigate the gendered workplace. Jade Aguilar is the Vice President for Equity, Diversity, and Inclusion at Willamette University in Salem, OR, where she provides leadership in the planning, coordination, implementation, and assessment of Willamette’s educational, operational and strategic goals around equity, diversity, and inclusion. 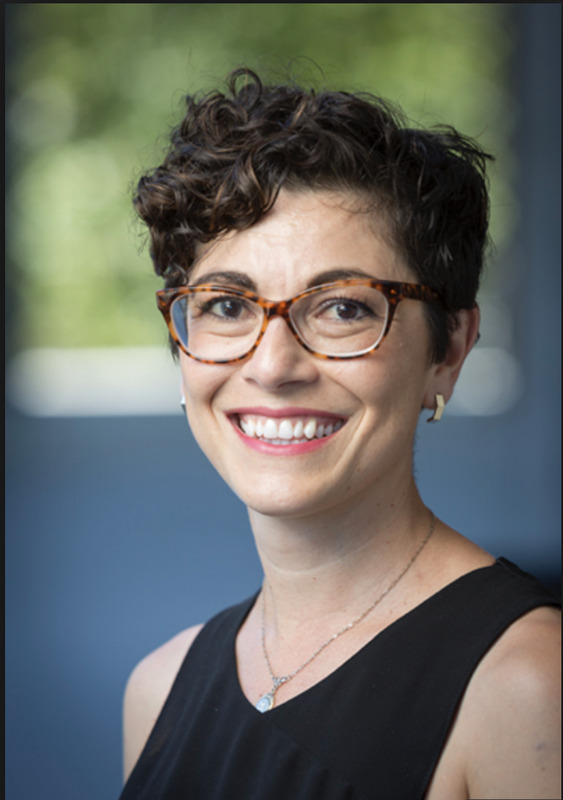 Prior to this position, she was an Associate Professor of Sociology and Women's and Gender Studies at Willamette University. She earned her PhD in Sociology and a certificate in Women's Studies from the University of Colorado- Boulder. Stay Noisy — How to be heard in a world that may or may not be breathlessly awaiting what you have to say. Jess Columbo, one of our panelists, will share her ideas on using social media to specifically grow your business. Her interactive presentation will immediately follow the panel from 9:10 am to 10 am in the Atrium, for no extra charge. Karrie is the Sr. Manager, Content Marketing at Act-On Software and is accountable for content initiatives that drive engagement, and leads to deliver sales and enable customer retention. Her focuses include: building an effective content marketing strategy and editorial plan that meet business objectives, collaborating across functions and teams, and ensuring that content is consistent with brand voice, style, and tone. She’s an award-winning digital marketer in the realm of non-profit having skyrocketed that brand’s social media presence and engagement internationally. Her unconventional career path as a serial entrepreneur has honed her skills in creative design and content development, and building and developing customer relationships. Connect with Karrie on Twitter, LinkedIn, and Google+ . Devon Downeysmith is a creative marketing professional who has been working for the last decade to drive consumer awareness of brands and causes that matter. She has worked on community building, from large scale events like the adidas Shamrock run as well as for small businesses and entrepreneurs. Her scope has reached across the globe, to highlight the work of Paul G. Allen's Great Elephant Census, and has concentrated here in Oregon, where she promotes clean energy and climate protection through her connections with lawmakers, the press and the public. Developing client content in both Spanish and English, Devon creates integrated marketing strategies in paid, owned and earned media. Devon recently branched out to become her own business: Downeysmith Creative Marketing based in Portland. Connect with Devon on Twitter and Facebook. Creative writer and self-professed measurement geek, Jess Columbo is one of the region's leading social strategists. After a decade of digital work in CPG, non-profit, health care, and higher education, Jess founded her firm, Med|Ed Digital in 2015. Med|Ed Digital helps regulated brands and their staff engage in social media safely and effectively. In her spare time, Jess teaches Content Strategy and Digital Writing at PSU and tries not to hurt herself playing indoor soccer. Connect with her on LinkedIn and Twitter @JessColumbo. Note: This event is the third of the three part Bring Out Your Best Series. Live with more confidence! Inspire ideal customers to engage with you! And get the tools you need to create an authentic and powerful personal brand! This workshop starts with creating your Power Pitch which combines your passion, purpose, pursuits & potential. With your Power Pitch, you’ll make the impact you desire. And you’ll give people the exact words to describe you whether you meet them in person or anywhere your bio appears. Plus, learn the proven strategies to build a personal brand following and connect with ideal clients and customers! This event is the second of the three part Bring Out Your Best Series. 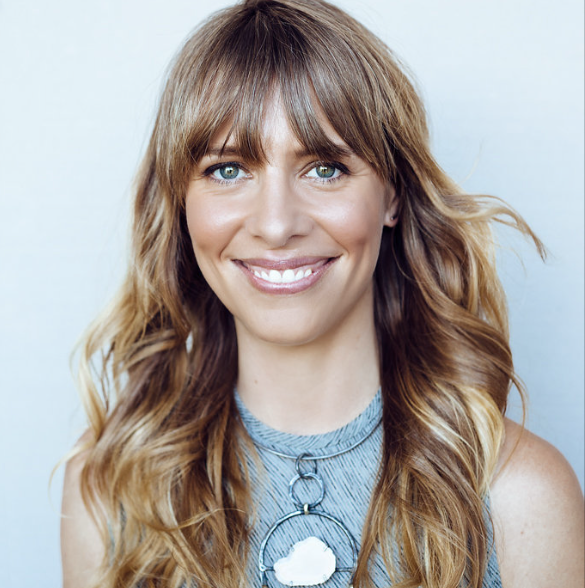 Present Your Best Self— Women's Center for Leadership "Style Social"
Scarlet Chamberlin is an award-winning stylist and jewelry designer based in Portland, Oregon. She was named "Portland's Best Wardrobe Stylist" by the Portland Fashion & Style Awards, and was nominated two years in a row for an Orchid Award by The Portland Business Journal. Her styling work has also been featured in Vanity Fair, Fast Company, People and Portland Monthly. Join WCL and Portland's “Best Wardrobe Stylist”, Scarlet Chamberlin as we investigate “Leadership Style” across industries. This interactive conversation on fashion trends and how to dress for business will be as valuable as it is fun. Whether you are style savvy or fashion adverse, you will learn how to present your best self and receive insider tips and resources. Scarlet knows how to make your wardrobe work for you. Bring 1-5 garments or accessories from home that you would like to wear more often. These pieces become Scarlet's props to lead an informative and vibrant conversation about personal style, appropriate work attire, dressing “up”, seasonal trends, closet organization, quality over quantity, where to shop, capsule wardrobes, what to wear where, etc. She is an open book and can flex to answer what you are most curious about. PRICE: $49 per person. Includes beverages, wine and lite appetizers. Due to this unique venue, seats are limited! According to Gallup, one out of every two people feel disengaged at work. The implications of this statistic are grave for employers as well as individuals, who suffer frustration and disappointment at work on a daily basis. There is a different way! Before accepting a new job or role, we can do a better job of assessing fit with rigorous self-awareness and introspective questions about the elements of work fit that matter. Moe Carrick is a speaker, writer and workplace expert, as well as the Founder of Moementum, Inc., a Certified BCorp and Oregon boutique consulting firm. She is a Coach, a Certified Daring Way™ Facilitator, a Senior Human Resource Professional, and holds an MS in Organizational Management from Antioch University. Moe's first book, Fit Matters: How to Love Your Job will be released by Maven House Press on May 16. This event is the first of the three part Bring Out Your Best Series. Do you, or does your organization recycle issues and problems over and over again rather than truly solve them? Join us with Deb Katz from The Conscious Leadership Group to learn how to shift the conversation from content to context, so that issues are resolved once and for all. You'll walk away understanding why conscious leadership really matters to you and your organization, and the costs of ignoring it. This interactive workshop will bring you face to face with the behaviors that are holding you back from leading from responsibility, genius and playfulness. 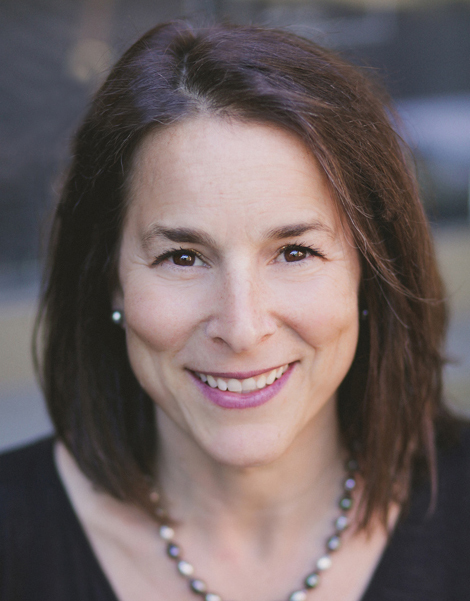 Deb Katz is an executive consultant and coach who travels the country working with individual leaders and organizations to bridge the gap between conceptual knowledge and walking the talk of conscious leadership. Known for her laser focus, challenging and supportive delivery, Deb catalyses opportunities for sustainable personal and organizational culture reform that leads to greater fulfillment, collaboration, innovation and influence. Deb holds degrees in Sociology and Women’s Studies specializing in Collective Behavior and Organizational Development from San Diego State University. It was through this early education where she began her research on how individual consciousness can affect the macro-institutional picture and vice-versa. Deb also has training in Enneagram personality styles, somatic psychology and is a Registered Nurse. This event is the third of the three part Develop Your Leadership Style Series. Projecting confidence is not just about our DNA, it is a skill you can develop. In this Confidence Project Power Hour, Tracy Hooper will coach you on simple skills to make a great first impression and master the moment. Tracy provides dynamic examples of how you can personally connect with people fast at networking events, meetings and on phone conversations, and, how you can seamlessly enter and exit conversations gracefully at group events. Tracy is an expert story teller with real-life tales from her success in broadcast TV news and the voiceover industry. Join us for this lively, fun event that will provide take-away skills you can use immediately and for the rest of your life. Prior to launching The Confidence Project, Tracy Bagli Hooper gained experience on air as a reporter and anchor at several CBS affiliate stations on the East Coast, including WBAL-TV in Baltimore, MD and WFSB-TV in Hartford, CT. As an on-camera and voice-over professional, she has made countless commercial and narration scripts come alive for radio, TV, and corporate clients including Disney, UPS, NFL Films, Marriott`. This event is the second of the three part Develop Your Leadership Style Series. Leadership and Followership: A Dichotomy? Much has been written about how leadership effectiveness is equated with followership. However, less has been written about the nature of ‘followership’ itself. Within the context of the modern organization, the concept of ‘followership’ raises some provocative questions including: How does ‘followership’ support ‘leadership’? What are the attributes of a good ‘follower’? We hire for ‘leaders’, how do we hire for ‘followers’? In this highly interactive session, we will explore these questions and the dichotomy between the two—and perhaps challenge whether or not such a dichotomy exists! NEW LOCATION: The Hilton, ATRIUM ROOM, 921 Southwest 6th Avenue, Portland, OR, 97204. This event is the first of the three part Develop Your Leadership Style Series. We aren’t all lucky enough to have a team of people focused on our professional development, but we can apply the best practices of Learning & Development experts to build our own. Join WCL and facilitator Kirsten Meneghello, as we host a panel of L & D professionals who design programs for their employees. Gain insight into the recurring leadership themes and challenges they observe. Finish the morning by crafting your own development plan while panelists circulate to offer their insight and experience. To increase long-term success, you will be paired with an “accountability partner” and each attendee will be given an access code for leadership assessment to be completed at home. Autumn holds a master’s degree in Leadership and Organizational Development and has over 20 years of senior-level management and leadership experience in diverse industries. Most notably in law enforcement, property management, private consulting, healthcare, large Internet retailers, and apparel and footwear companies. Autumn’s unique combination of strong practical business experience and knowledge with learning and talent management strategies has helped shape the way companies engage their employees and transform the methods used to acquire leadership skills. Rachel is a business transformation coach and facilitator with extensive experience in Leadership Development, Change Strategy and Organization Effectiveness. Rachel has worked in a diverse range of industries including High Tech, Consumer Product, Telecommunications, Pharmaceutical and Non Profit. Rachel completed her Doctorate degree in Education at Pepperdine University, holds a M.A. from the School of Management and Labor Relations at Rutgers University and received a Master's Level Certificate in Leadership Coaching from Georgetown University. Mara has been a leader for over 25 years in leadership and organizational development, talent management, and team effectiveness in various industries including healthcare, high tech, and financial. She has a master’s degree in learning and organizational development and is a certified professional coach, specializing in emotional intelligence coaching. She has a passion for leadership development and its correlation to employee engagement. 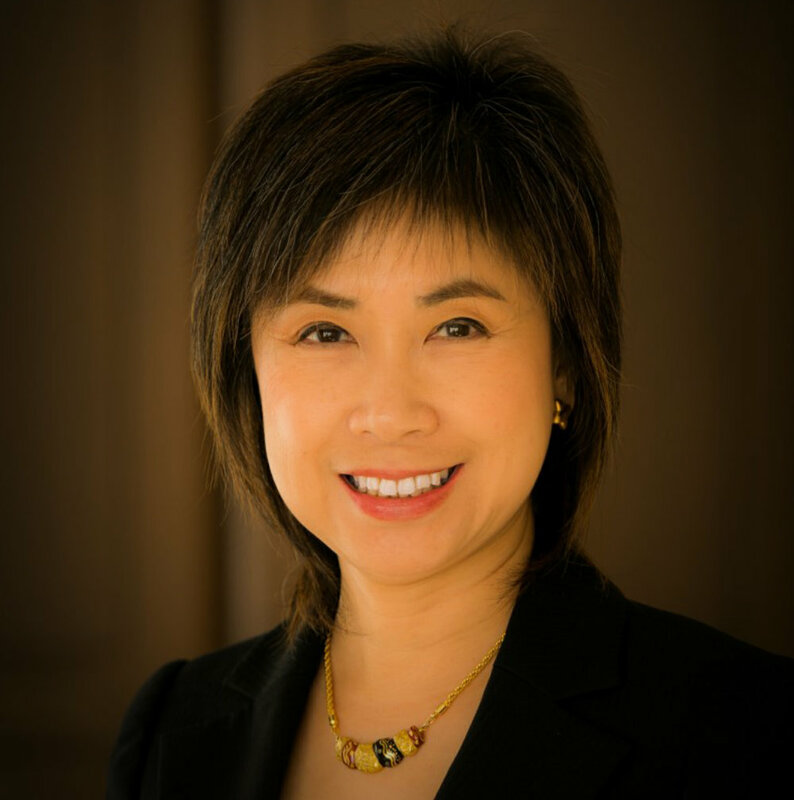 In many organizations, she has led and created comprehensive leadership development programs, succession planning, and mentor programs for all levels of leaders. Kirsten coaches leaders and executives to build dynamic teams. She is passionate about people bringing their talents together to maximize their team’s effectiveness. She is an ICF-certified coach, facilitator, and Authorized Partner for Everything DiSC and Five Behaviors of a Cohesive Team. She has proven leadership skills from her many years of nonprofit experience and community service. Kirsten is an attorney and a member of the Oregon State Bar. PRICE: $35 per person. Includes continental breakfast and parking at the Standard Plaza, 1100 SW 6th Ave, Portland, OR 97204. Read our event cancellation/refund policy. According to data from The Center for American Progress, just 14.6% of executive officers in the 500 highest-grossing American companies are women. That means 85.4% are male. What role do they have in women’s leadership development? What can they do to remove leadership hurdles for women in the workplace? How can they help influence organizational cultures to harness the full potential of women? Join Moe Carrick and Jim Morris from Moementum, Inc. as they tackle this important question. Moe and Jim are passionate about helping organizations excel by helping people become better leaders and helping leaders work better together. Moementum, Inc. helps business people, nonprofit or corporate teams and leaders work better together. Using practical support, coaching, team-building facilitation and unique, personalized leadership experiences, we help organizations reach their full potential and succeed with purpose. PRICE: $49 and bring a man for free. Includes light appetizers and no-host wine bar. Read our event cancellation/refund policy.